Archlute | Maker: David Tecchler (Austrian, Salzburg 1666–1747 Rome).1725. Rome, Italy. 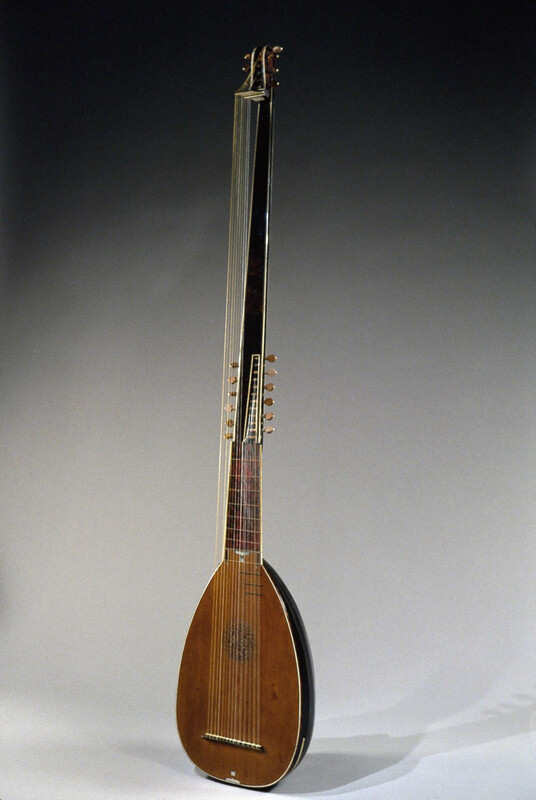 This “Roman Archlute” is in the family of the Chittarone or Theorbo featuring an extended neck and a second pegbox to accommodate extra open (i.e.unfretted) longer bass strings in order to increase the range of available notes. These instruments appeared during the late sixteenth century in Italy, inspired by the demand for extended bass range instruments for use in opera For his 1607 opera L’Orfeo, Claudio Monteverdi lists duoi (two)chitaroni among the instruments required for performing the work.